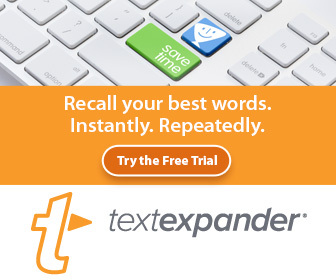 Have you ever used two or more similar applications that you so wish the developers would just meet and merge the unique features of each of their useful programs into one? Well, that’s a wish for the two Mac screenshot applications, Snappy and ScreenFloat. In a nutshell what makes both of these applications unique is that when you use them to take a screenshot, the image shot automatically opens, instead of being saved to your desktop. The process is just like selecting a file on your desktop and clicking the Spacebar to view the file in Quick Look view. The shots taken with either application can be saved as an image file, as well as be kept stored in their respective browser libraries. Okay, so quickly here’s a breakdown of the similarities and differences between both applications. 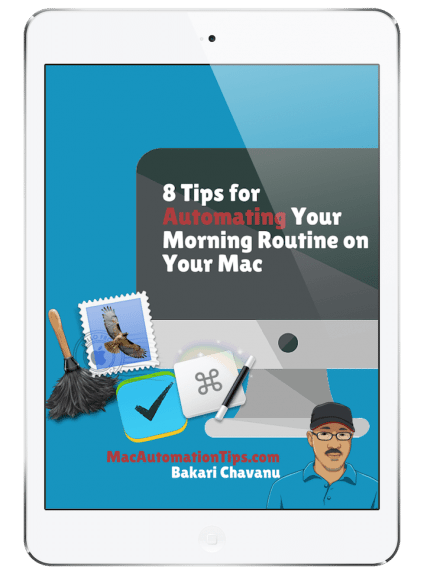 Both applications provide keyboard shortcuts for triggering screenshots; hiding, showing, closing, and deleting shots; and saving shots to the desktop and/or their respective browser. Both applications allow you to share to other applications and social networks, including Facebook, Twitter, Slack, Evernote, Imagur, and DropBox. 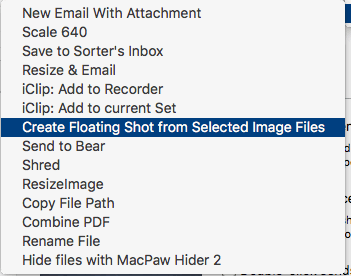 You can select an existing image in your Finder and open the selected file as a Snappy or ScreenFloat file view. You can select to have shots automatically closed when the applications are closed. 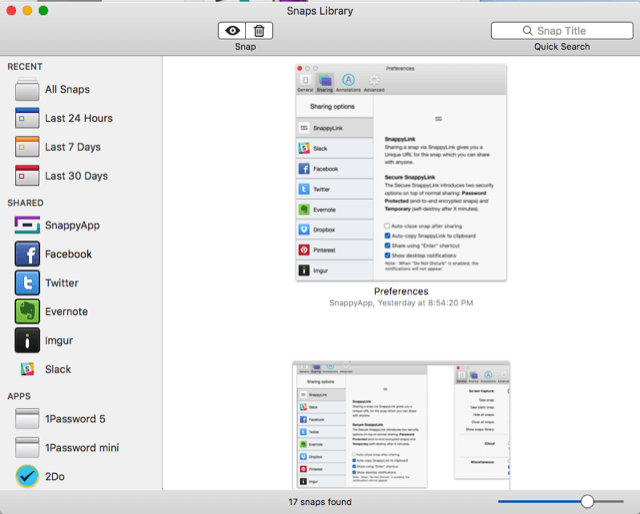 Snappy is cross-platform for the Mac and iOS, and allows for sharing shots via iCloud. I take too many Snappy shots on my Mac to have them stored in my iCloud account, but if you work between devices, this is a great plus. To save a screenshot, you can simply hold your cursor on an open shot, hold down the Control+Option keys, and then drag a copy of the shot to your desktop. On the other hand, with ScreenFloat, you have to right-click and click the Save button to save a shot to the desktop. You can take what is called a Silent Snap that will automatically save the shot to the Snappy Library and not open it on the screen. You can simply double-click on a shot to close it. 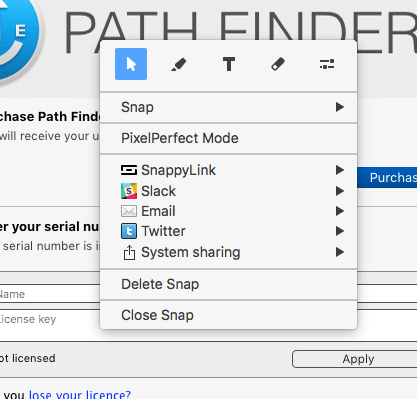 Snappy includes annotation features, added by right-clicking on a shot and selecting the marker, text box, eraser tool or selection tool. You can also share a selected shot to the Snappy server and get a unique SnappyLink URL. The image is stored on the server for 30 days.But wait there’s more, you can also share a Secure SnappyLink, which enables you to set a time for how long you want the shot to be posted online before it gets deleted. Shoot, you can even password protect a shot for no extra costs. Damn! 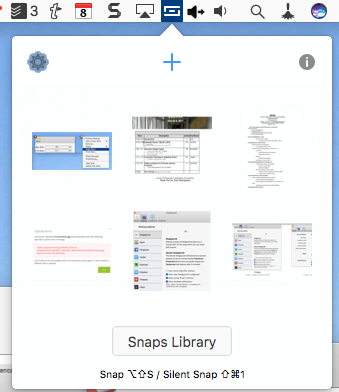 The Snappy Library browser automatically organizes your shots into smart folders, based on the application you took the shot in. For example, shots taken in Safari will be saved to the Safari folder, and shots taken in Keyboard Maestro will be saved in that respective folder. There’s also folders for viewing shots in the last 24 hours, and seven and thirty days.The downside of the Snappy Library is that you can’t create folders and manually drag shots to them, as you can in ScreenFloat. 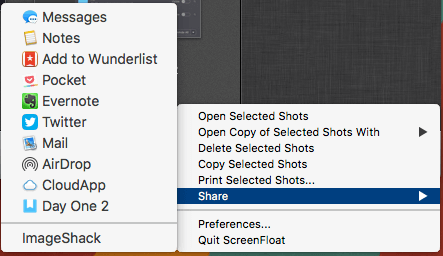 You can also quickly access the last six shots you took from the Snappy mini window in the menu bar, and re-open them from there. You can take a screenshot of an entire webpage by opening the Snappy Window Page View in the inside the Snappy menu bar icon. From there, enter a URL that and then Snappy will take a perfect shot of the webpage and save it to the Library. ScreenFloat allows you to use both smart collections and regular collections to organize shots. You can re-title shots and add tags and use the data for creating smart collections. To quickly save a ScreenFloat floating shot, position your cursor over the botton-left corner of the shot and click and drag the small image icon to your desktop or in a Folder where you want it saved. You can right-click on an existing image file and create a floating ScreenFloat from the selected image file(s). ScreenFloat shots can also be shared to ImageShack, CloudApp, and AirDrop. You can right-click on a ScreenFloat shot and open it in another supporting application like Photoshop, Preview, Pixalmator, Day One, etc. 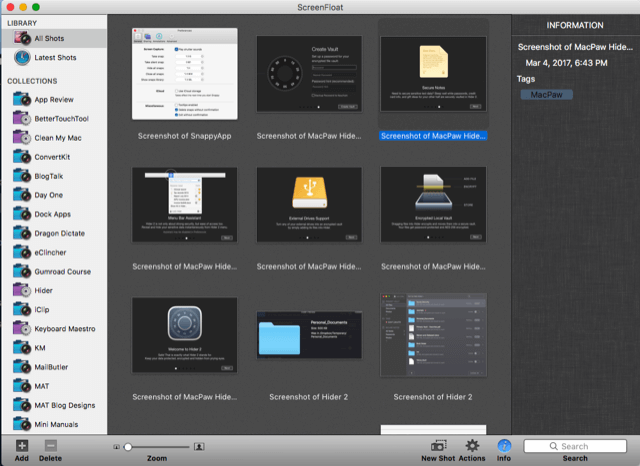 ScreenFloat is $8.99 in the Mac App Store. 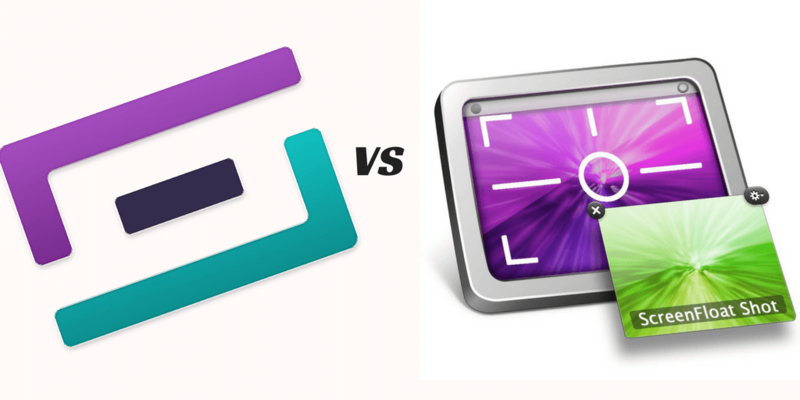 The question you’re probably asking yourself by now is which application is better? Well, the application I’m using now is Snappy because it automatically puts shots into smart folders, saving me the trouble of managing shots manually. The other reason I switched back to Snappy is that I find the process of saving ScreenFloat shots a little too tedious and slow. I prefer being able to drag shots to the desktop to quickly save them. Correction, see number 3 in under ScreenFloat. For when I’m writing an article such as this one, and I need to reference images as I write about them. To save shots to use in articles such as this one. When I’m trouble shooting a problem with an application, I take a quick shot of the problem to send to the developer. Saving shots as swipe files, for ideas I would like to try. To quickly share images to my Twitter account. To save shots for a book I’m working on. Take shots of instructions for using an application. Take shots to use as a reminder to complete a related task. Take shots of application menu items to reference as I’m setting up an automation action or workflow . Take shots to quickly share with a developer or other people. As I do with all the applications I use on my Mac, I use BetterTouchTool and Dragon Dictate to quickly trigger shots. To trigger a shot, I simply do a Three Finger Swipe Up on my trackpad, which saves me the trouble of using the keyboard shortcut. To delete a Snappy shot, I simply do a Five Finger Click which deletes the open shot when the cursor is placed in front of it. I always find automating applications like this a lot easier than pressing keyboard shortcuts, or using menu bar items. Let me know what you think of Snappy and ScreenFloat. 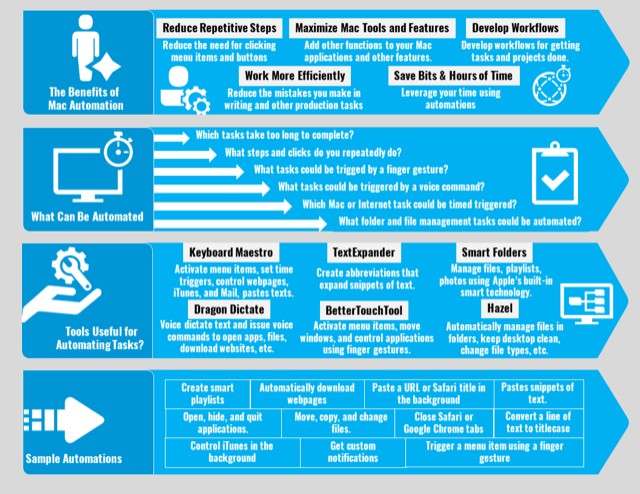 Are you currently using one of them in your daily workflow? What features would you like to see added? And what practical uses do you make of them to be more productive?